The struggles becomes real when that alarm goes off and you realize that you have to start your day bright and early. Waking up can be hard after a night of delicious sleep. I’m so not a morning person. I mean, is anyone these days? Despite the fact that I don’t like the mornings, that doesn’t mean that I’m not always trying to improve them. Someone has to run Market America and Motives Cosmetics! 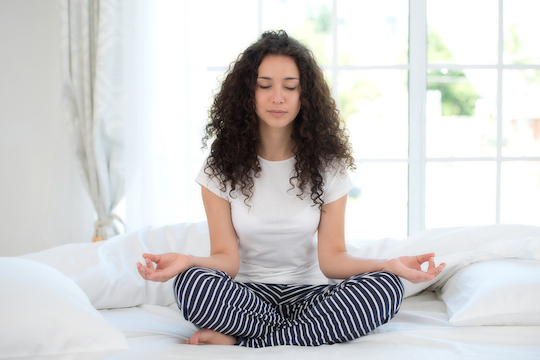 Here are some morning rituals that have helped me have better mornings. Your mornings are what set the rest of your day, ladies! Might as well get it right! Let In Some Light- It’s easy to hit that snooze button when it still feels like it’s dark out, but make an effort to open those windows. Let some light in! It’ll help motivate you to feel less groggy and more awake. Crank Up The Tunes- Instead of checking your email, or your Instagram feed crank up your favorite jams. It’ll motivate you to get out of bed. Play something up beat to get your day rolling with a jam. Dance out of bed! Drink Lemon Water Or Lemon Tea- Drinking some lemon water is a great way to line up your digestive system first thing in the morning. It gives you a variety of health benefits including a boost of Vitamin C and potassium. Once you’ve taken a sip of your lemon water, do your best to stay away from caffeine. I know it’s tempting, but those caffeinated drinks aren’t doing you any favors and can cause an addiction somewhere down the line. Plan Your Day- Planning your day out is a great way to help you get motivated for the morning ahead. Write a to-do list and complete some small goals like exercise or meditation to get your head and body in the right headspace. I know you can do it, girl!